I had a similar recipe to this which disappeared when my old computer popped its clogs without warning. I’m really glad to find another! Everyone loves this dish and it’s easy to make. Thanks! I wouldn’t like to have to clean that pot! Lick it clean maybe – WOOF! 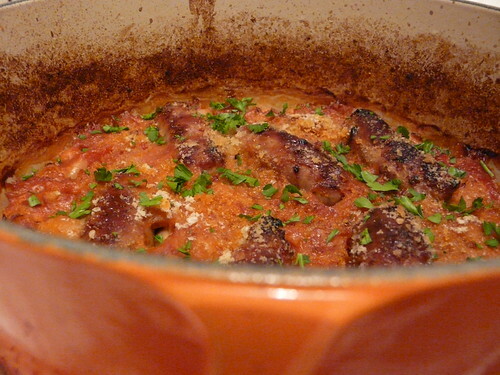 I have never had a real cassoulet before either but yours looks pretty yummy! I’m sold ! Ooooooh – thanks! Already bookmarking this to make for someone special… You would not believe how hard it is to find duck around these parts. Beverly – It’s a crowd pleaser indeed! 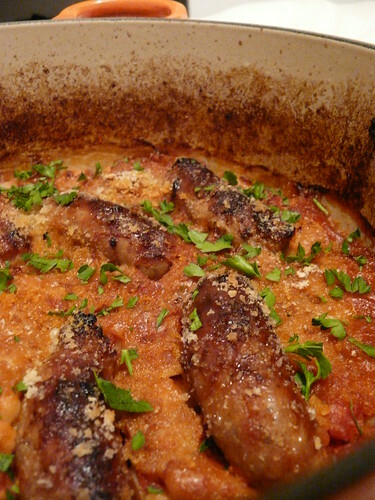 Susan – Well spotted – it’s the crust that makes this dish truly fantastic! Bev – It is really good. Promise! Chelsea – It’s not that easy to find up here either. The supermarkets stock it but they are very vague about where it’s from/how it’s reared so I don’t like buying it.